Since chances are pretty slim you will actually secure that elusive bottle of Pappy Van Winkle for the whiskey connoisseur in your life, here are five suggestions for gifts that will help them better appreciate their spirit of choice. And if you insist on getting bottle, take a look at the Drink Nation’s American Whiskey buying guide. Sure flasks are great for bringing a little nip with you while on the go. But quickly proves not so practical in a group, where after one go around, it’s empty. Unless of course you’re packing this behemoth. The slim, 12-inch tall vessel holds up to 1.75 liters of your favorite spirit. That’s a full handle of liquor! For occasions that call for something a little classier than taking a belt off a flask, we recommend this handsome decanter that’s perfect for showing off and serving your precious small batch and single malts. Bottle of Buffalo Trace not included. 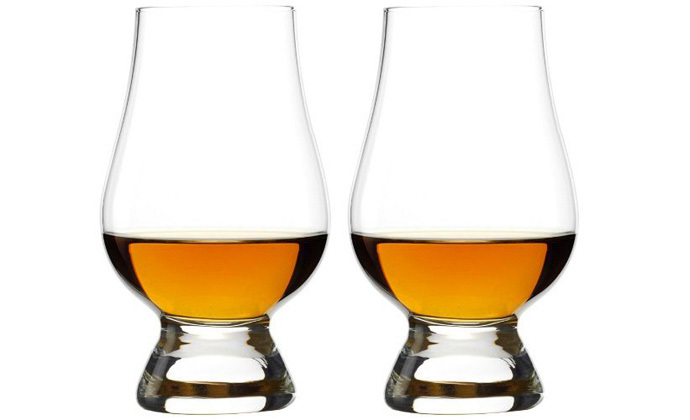 Continuing on that classy tip, here’s a set of glasses for serving whiskey. Your precious and most potent potables deserve something better than those Las Vegas and Disneyland shot glasses. Here’s a book that not only delivers tips and suggestions for enhancing your appreciation of whiskey, it provides details on how to safely create and distill it at home! Southern chef and James Beard Award-winner John Currence loves whiskey as much as he loves food. For his first book he delivers more than 130 recipes that are organized by 10 different techniques, and will help you cook up dishes that are perfect for enjoying with whiskey and whiskey cocktails.